The Kristyna collections creates a modern blend of both old and new looks. 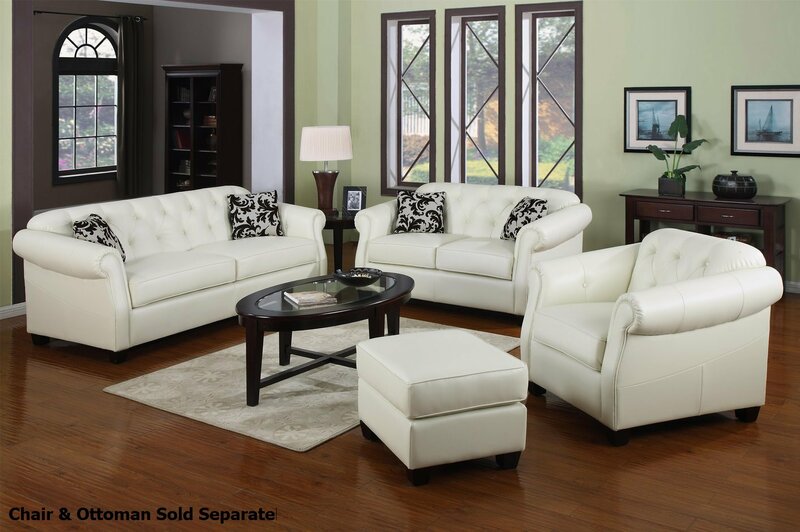 Offering luxurious off white bonded leather upholstery, this collection is sure to complement your living room decor. A hardwood solid frame is sturdy, with sinuous spring base and pocket coil seating for support, and a strong webbed back with high resiliency foam cushions for irresistible comfort. Classic button tufted back cushions, and sloped rolled arms bring the look together. Create a cool living room ensemble with the Kristyna upholstered collection. This collection includes a sofa, loveseat, chair, and ottoman.